The hotel was nice and the staff were extremely friendly and helpful. The only complaint we have is the air conditioner did not work very well in our room. Room wasn’t cleaned, only decaf coffee in room, full crowded parking lot, side doors not secured, room smelled funny. I won’t stay there again. Very disappointed in room. Lock on door broken. Bathroom was disgusting. Bathroom door was broken and wouldn't shut. Tub was gross and paint peeling. Upon arrival I had to ask for more toilet paper because roll was almost gone. Floor was dirty. Would not be returning or recommend to friends. So you're thinking about a trip to Weaver? If you want a place to lay your head that's located close to Weaver attractions, use Orbitz to pick your travel dates, and then presto! Look through the list of hotels and other accommodations to find those that are located near what you want to see while you're visiting. There are 39 accommodations to pick from within the larger area if you can't find the ideal place to stay in the heart of Weaver. Search by filters such as price, neighborhood, guest rating, or popular locations, depending on what's most important to you. 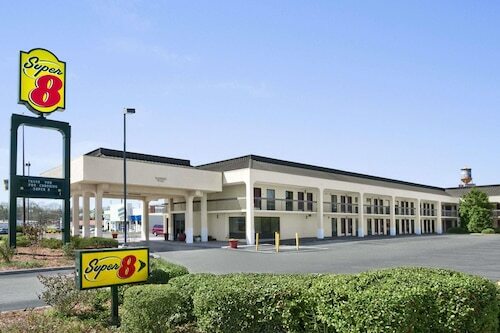 There might be just a few hotels and accommodations to choose from in Weaver, but here some other options located nearby to give you some choices. What's the Weather Like in Weaver?